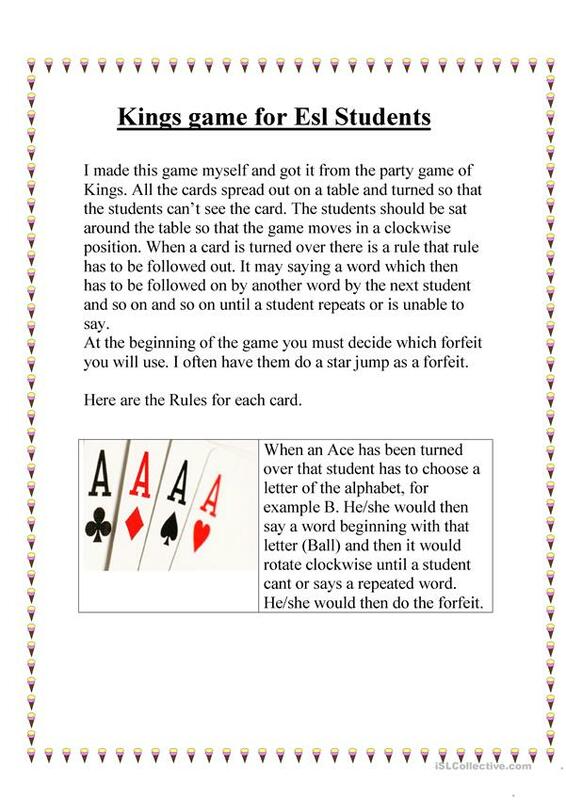 This game is similar to the party game kings but I changed it a little for the classroom. All students sit around a table. 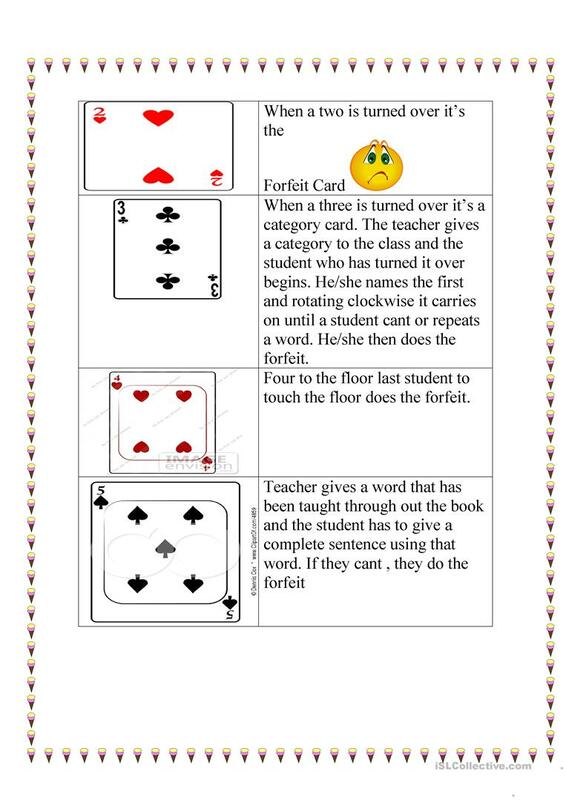 All cards are placed on the table face/down. Each card has a rule and once turned over the student must complete that task or do the forfeit. At the beginning of the game explain what the forfeit is. A card is turned over one at a time and it goes on until class is over or cards are finished. 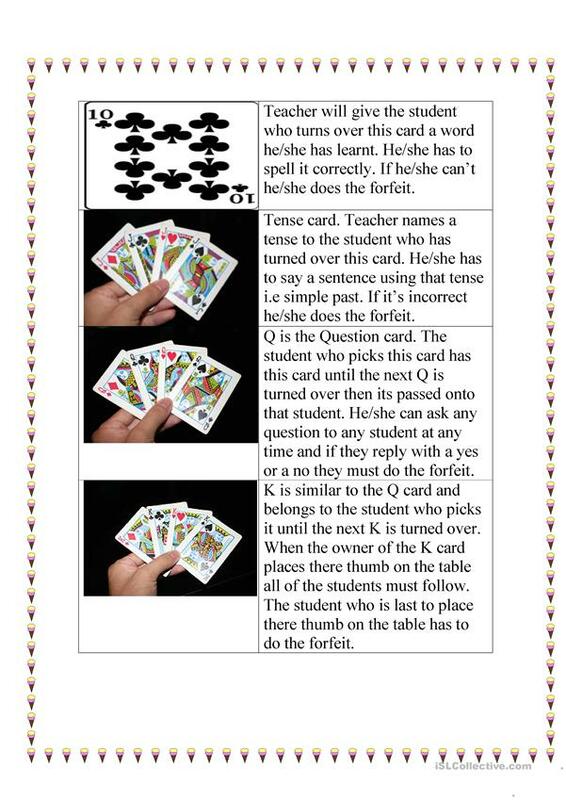 My students loved this game. 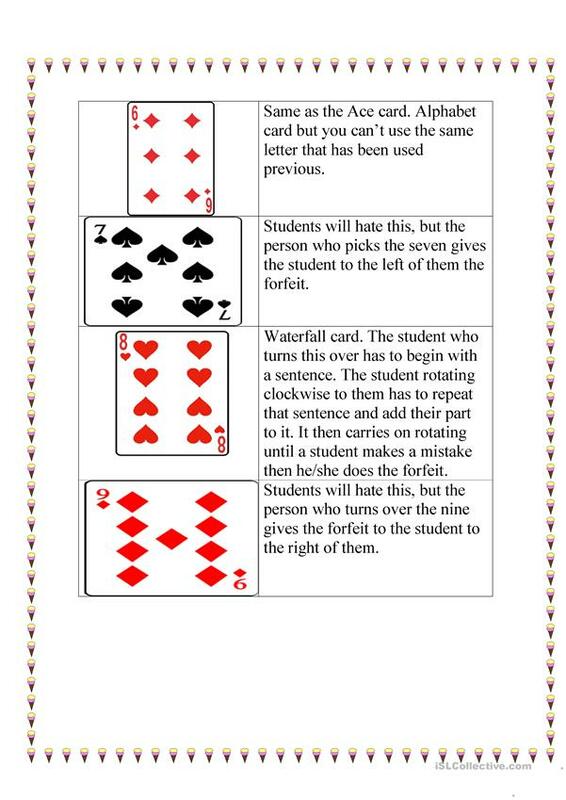 Even though i designed these rules id love to hear if anyone has any other ideas or better suggestions for the cards (i.e.) rules for there English learning. This printable, downloadable handout is best suited for business/professional students, high school students, elementary school students and adults at Elementary (A1), Pre-intermediate (A2), Intermediate (B1), Upper-intermediate (B2) and Advanced (C1) level. It is a valuable material for developing your class' Listening, Spelling and Speaking skills.